Test taking season is always a high stress time of year for students and their families, filled with anxiety, worry and fears that only make the situation worse. A lot of parents struggle with helping their children stay calm, focused and happy when they know that some of the most important tests of the year are just ahead of them. Unfortunately, in order to perform well on a test, students need to be at their best mentally too, making all the jitters and stress something that you need to learn to manage. Essential oils have long been used for their stress reducing effects, and test season is a great time to put the best of them to work. If you have a child that will be going through a series of school tests this year, use these essential oils in their bedrooms, study space and added to their baths to promote a calm and mood boosting atmosphere. Lavender is the most popular essential oil for stress relief, because it really does have an all body calming effect. Headaches, sleeplessness, tight muscles and anxiety can all be relieved through the use of this oil. The best part is, lavender has a great scent and can be used in so many different ways so it is easy to add to the daily life of your children when they need to relax and study. Grapefruit essential oil is the best stress busting and mood enhancing essential oil from the citrus family. Grapefruit oil is used to destress, but also as a motivator, to help students get over those study bumps. When you notice any fatigue in your student, or they are struggling to keep at it, but need to, add grapefruit oil to a diffuser for a natural boost. Spruce is a very specific type of essential oil and it is actually used in a lot of confidence boosting blends. 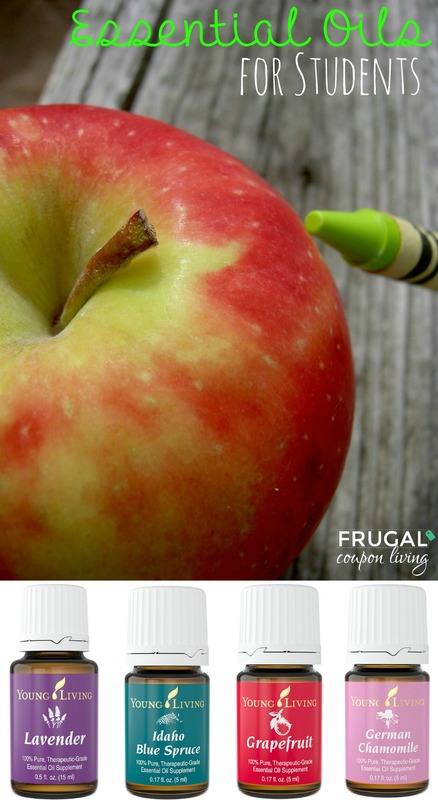 On test days, spruce is a great option, applied topically, or diffused in the morning before heading to school. Spruce is a natural stimulant, creating a calm and confident atmosphere for anyone using it, which is exactly what everyone needs when going into a test. Spruce has been claimed to open the pineal gland, a small endocrine gland in the vertebrate brain. It produces melatonin, which helps regulate sleep and wake cycles. Did you know school-aged kids need anywhere from 8 to 12 hours of sleep a night with younger children needing the most. We are all familiar with the benefits of chamomile tea around bedtime, and the essential oil has the same effects for children. If your kids are not tea drinkers, chamomile is a great essential oil to begin diffusing in their bedrooms on the nights leading up to test days to promote sleep. Additionally, chamomile has been used as a traditional medicine for thousands of years to calm anxiety and settle stomachs. Love Essential Oil Recipes? 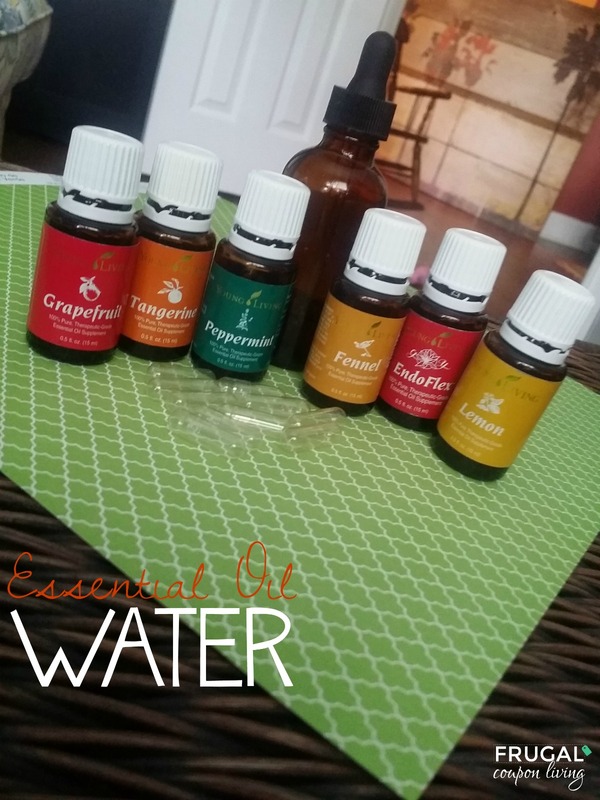 Also check out our Essential Oil Water Recipe – Pin to Pinterest. Also check out our Homemade Furniture Polish, DIY All Purpose Cleaner, Lavender Lemonade, Homemade Wrinkle Cream, Natural Eye Redness, 20 Uses for Thieves Oils, Lavender Linen Spray, Homemade Vicks VapoRub and Homemade Sugar Scrub using Essential Oils.